Buon giorno and welcome to Stefano’s RomeCabs. We have been providing hundreds of thousands of travelers and cruisers for more than 12 years with continuous reliable and quality transfer services. Booking your Rome Cabs Transfer is easy: Log on to www.RomeCabs.com. 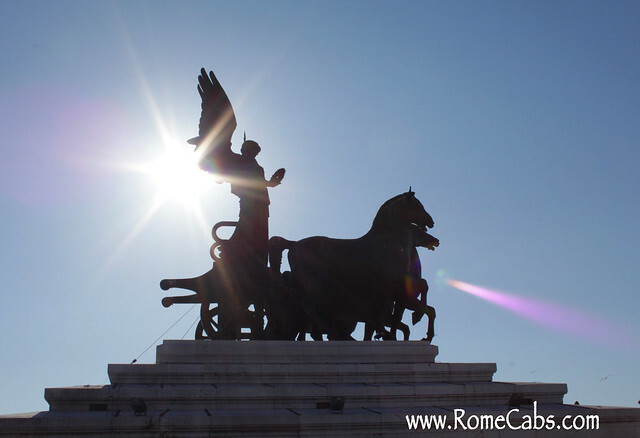 Please note that this is the ONLY website for the REAL Rome Cabs. Any other variation other than http://www.RomeCabs.com is NOT the real Rome Cabs Website and you may have landed on a fake imposter website. Click on the Thumbnail image for either Airport Transfers or Port Transfers. The first step of the booking process is an Instant Quote. Fill out the fields and click Get Quote and Book. After you receive your Instant Quote proceed to Book your transfer. Please be sure to complete all the fields in the booking form, and double check to make sure you have the correct Arrival Date and Time INTO Rome’s airport. The correct Airline Carrier and Flight Number is imperative in order to provide accurate service. We will need to know your Hotel Name and Address. If you are staying at a rental apartment, please provide the full address. Last but not least….to avoid disappointments during your travels, please be sure to first read and accept our Terms of Service prior to booking any services via Rome Cabs Website. Once you submit your reservation request, please allow up to 24 hours to receive an email correspondence from our office. Thank you very much and we look forward to welcome you to Rome!